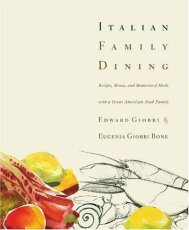 It's mealtime, and the family gathers around the table. There may be a dish of pasta to start, or a bowl of soup. To follow, perhaps some tuna sausage and roasted peppers, or chicken with mint. A salad? Well, maybe, if it's a big meal. 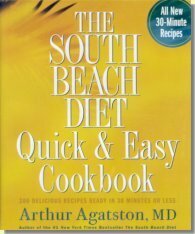 The South Beach Diet is more than a renowned weight loss program that has helped millions lose pounds and improve their health. It's a lifestyle based on what experts agree is the healthiest way to eat: a diet based on good fats, good carbohydrates, lean sources of protein, lots of fiber, and plenty of great-tasting, nutrient-dense whole foods. 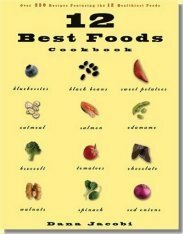 With a foreword by Mehmet Oz, M.D., and 40 lush color photographs, 12 Best Foods Cookbook reveals on every page that perhaps the ultimate benefit of eating what's good for you is how very good it can taste. A diet that's healthy for persons with diabetes is healthy for all the rest of us, too! 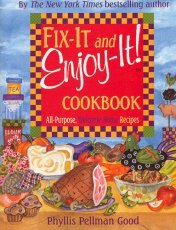 Fix-It and Forget-It Diabetic Cookbook is packed with delicious recipes for everyone -- including those who have to keep track of food exchanges, carbs, sugars, calories, and fats. by Rozanne Gold with Helen Kimmel, M.S., R.D. As a professional chef for 25 years, Rozanne Gold is a big believer in using only the best and freshest ingredients -- and treating them simply to achieve fabulously flavorful results. 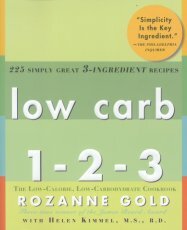 Now Gold works her 1-2-3 magic on low-carb cooking. Coming together to share a meal is one of our most vital traditions. 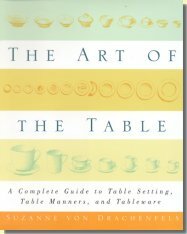 Whether dining with friends, family, or business associates, we know that an elegant setting and gracious manners bring a sense of harmony and order to the occasion.